In order to really dominate your competition, you’re going to need more than a powerful serve and flawless ground strokes. You need to be able to get to the ball, fast! This requires a player to develop speed and agility so that they can react quickly enough to reach any ball that comes in their court. This drill helps to develop foot work by forcing players to properly transition for forward to lateral movement. This drill can also be performed while being fed balls from a partner. 1. Set up 3 cones along the base line, one in the center and two where the baseline and singles line intersect. Have the trainee stand towards either end. 2. If desired, have someone on the opposite side of the court feed the ball to the opposite end where the player is standing. 3. The trainee should start by doing a lateral shuffle towards the center cone, and once that center cone is reach they can turn into a sprint to reach the ball. 4. 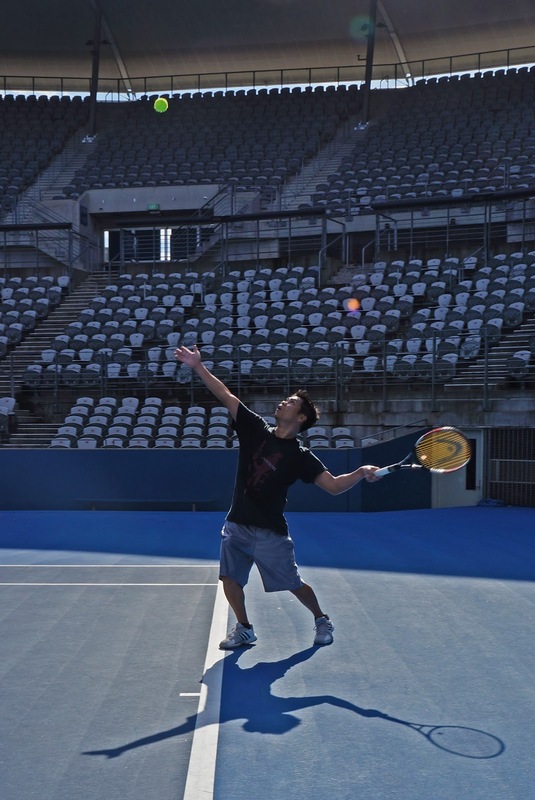 The player can return the ball with either a forehand or backhand. Place 4 cones in the court about 10-15 feet apart in the shape of a square court to form a square (Two towards the baseline and two towards the net). Assign each cone a respective number 1-4. Have the trainee stand in the center, and call out a number 1-4. The trainee will then run to that cone, and return to the center. The numbers should be called out in rapid succession so that the trainee is constantly moving. Players must be able to quickly chase down drop shots in a match. This drill will force them to quickly locate and reach any given ball. 1. Have the player stand several feet behind the base line, and another person several feet behind the net on the opposite side. 2. Have the partner hit a light drop shot on the player’s side of the net. 3. The trainee must then sprint to return the drop shot allowing only one bounce. This is a grueling exercise that will really wear someone out. It is best done at 95% of full speed. Because this exercise is so draining, save it for the end of practice or workout session. Start outside the doubles line. When ready, run directly to the singles line several feet in front of you. Turn around, run back to the doubles line, and touch the line. Turn back around and run to the center of the court. Touch the line (if applicable) and run back to the outside of the court. Repeat this until you touch each line going vertically across the court. There is no better time to be involved with the Tennis League Network. The weather is gorgeous and only hopes to get better. The professional tennis circuit is about to reach its most exciting time with Grand Slams coming fast and furious in back to back to back months. And speaking of Grand Slams, the French Open is upon us! What better way to celebrate than by giving away racquets to our valued Tennis League Network players! All players that purchase a paid program, $25 or more, during the French Open, will be entered into a racquet giveaway lottery. Eight (8) racquets will be given away in the lottery. The good part about our lottery is that not only do you have a really good chance to win, you'll also know each winner as they'll be posted on the website when each drawing occurs. Real people winning real prizes, how could you go wrong? As with any lottery, the more purchases you make, the better shot you have at claiming the ultimate prize. 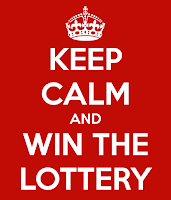 Purchases valued between $24 and $49 will earn 1 entry into the lottery; purchases valued between $50 and $74 will earn 2 entries into the lottery; and purchases valued at $75 or greater will earn 3 entries into the lottery. This is a national promotion across all the cities in the network! 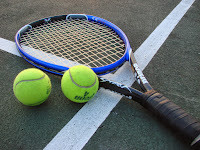 Tennis League Network, LLC will purchase the racquet and have it shipped to the customer within 1 week. Any amount above $150 for the racquet will need to be covered by the winner. If the player chooses a racquet that costs less than $100 including shipping, we'll give a $25 Gift Card on top of the racquet purchase. The earlier you sign up the more chances you will have to win! And let's be honest, everyone could use a brand new racquet for the season. ** The maximum cost that TLN will spend on the racquet will be $150.00 shipping included. ** Any amount over that must be covered by the player. 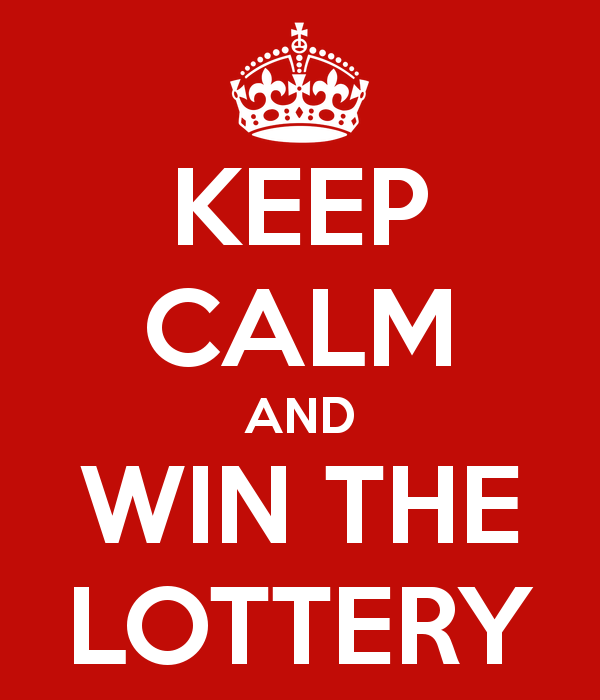 ** Entry into the lottery does not guarantee you a prize; it just gives you a chance to win. You may have noticed that many of the world’s top tennis players combine their playing style with the court on which they are competing on. 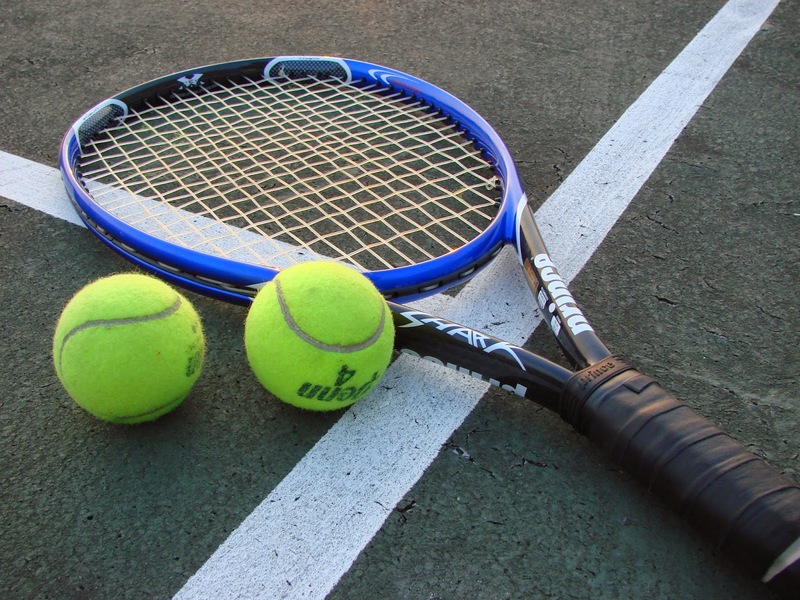 Some are hugely fond of a specific type of court, with grass, clay and hard courts featured throughout the ATP World Tour and at some of tennis’ biggest competitions, such as the French Open, the US Open and Wimbledon. Rafael Nadal has had notable success on clay courts in the past, while current number one Novak Djokovic has now won five Australian Open titles which take place on hard court surfaces. Experienced tennis players will tell you that one of the most important aspects of your game when competing on varying court surfaces is your footwear. While top payers change their style to suit a specific surface, they also make a habit of changing their shoes. If you study the movement of the ball at one of the four major tennis tournaments, you’ll notice some interesting differences. Wimbledon is played on grass which causes the ball to stay low and flash off the surface of the court. On the other hand, the movement of the ball at Rolland Garros is very much determined by the bounce effect caused by the clay surface. This means the game speed becomes a lot slower to accommodate the bounce. Tennis players have to change their game to adapt to the surface, which is why footwear plays an essential role in improving your game. To ensure you’re fully equipped for all types of tennis surfaces, here’s a guide you can use when shopping for tennis footwear. Wimbledon has always been a tournament for the big servers. The likes of Pete Sampras, Andy Roddick, John Isner, Jo-Wilfried Tsonga and Juan Martin Del Potro have all flourished at Wimbledon in the past thanks to the quick grass surface. The serve and volley style has thrived at Wimbledon over the years with players taking full advantage of the surface to race to the net after a serve. All this movement requires footwear with excellent grip, flexibility and a falter out-sole. The grip is vital as grass courts can be quite slippery. Grass courts tend to wear out over time and they also attract plenty of due, so there’s always the chance a player might slip and suffer injury if they aren’t using the correct footwear. 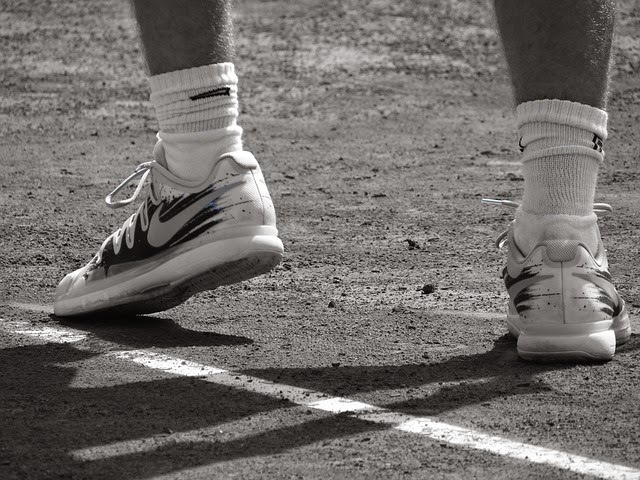 In order to not wear out a grass court, a flat out-sole is required. You are required to wear completely flat shoes when competing at Wimbledon. The flexibility ensures you aren’t restricted of movement when having to dash across court for a return or volley. Clay courts cause the ball to bounce higher, thus resulting in a much slower game compared to Wimbledon. The clay courts at Roland Garros often host a unique baseline playing style, commonly adopted by Rafael Nadal. The slow court gives Nadal the option to unleash powerful shots from the baseline. 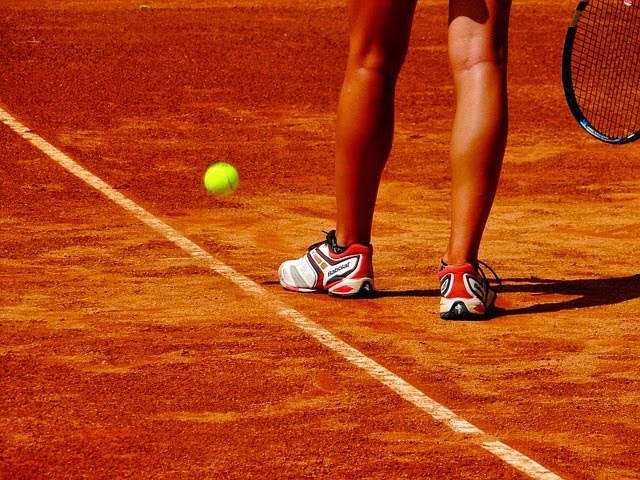 You’re most than likely to be moving regularly from side to side when playing on clay courts, which will demand excellent grip, durability, lateral support and a well-designed out-sole from your footwear. You get very little traction for clay courts, so a strong grip is vital. The well-designed outsole keeps clay off of your grooves and doesn’t mark the court, which can potentially save you from injury. The durable sides ensure your shoes won’t be damaged from constantly sliding from one side of the court to the other. You’ll also need lateral support when moving in this way. 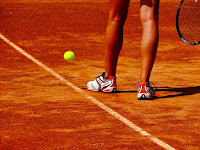 Hard courts are often regarded as being neutral ground, with the bounce and speed of the play very much in between that of the effects of clay and grass courts. 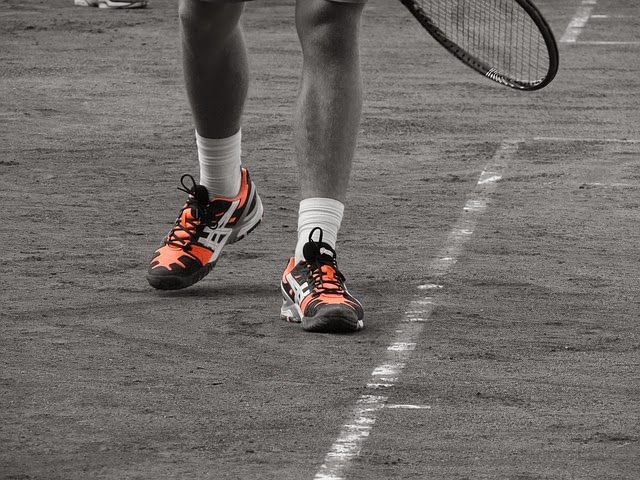 Many different playing styles can perform well on hard courts, but it’s still essential that you have the correct footwear to ensure your playing style reaches top form. Most hard court footwear requires cushioning, a tough upper and a tough out-sole. The toughness and durability of the out-sole is vital if your footwear is to handle the harder surface. You don’t want your trainers gradually deteriorating as the match goes on. Hard courts can cause plenty of stress on your legs and knees, so having that cushion from your footwear can help to prevent injuries. You’ll also need stability from your footwear which can be provided by a tough upper, thus ensuring less constriction when moving around the court. Tennis League Network is pleased to announce a partnership with MyTennisLessons.com, the nation’s largest online marketplace for tennis instruction. Throughout the past three years, MyTennisLessons has connected thousands of tennis players with local coaches across the country and facilitated more than 20,000 tennis lessons. Now players in Tennis League Network’s dozens of tennis communities can find lessons with local, qualified coaches at the tennis court location most convenient to them. 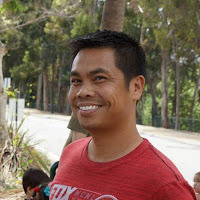 MyTennisLessons.com allows users to compare instructors by experience, rating and cost to find the coach right for them. 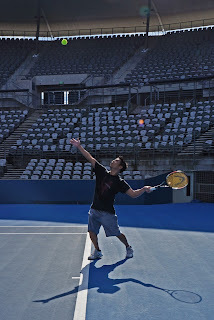 MyTennisLessons caters to beginner and advanced players alike. If you’re a player who wants to coach lessons, apply to be a featured pro on MyTennisLessons.com and get access to hundreds of clients who visit the site looking for tennis instruction in your area. For ten years, Tennis League Network has helped tennis enthusiasts across the country find opportunities to play both competitively and recreationally. Our partnership with MyTennisLessons.com will allow players to find lessons with qualified coaches to supplement league play. 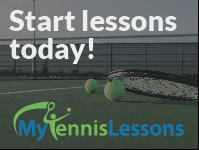 To get started with a coach at MyTennisLessons.com, simply visit the “lessons” tab on any of our Tennis League Network city pages. We look forward to contributing to the growth and development of tennis through this new partnership as well as continuing to enhance your tennis experience.